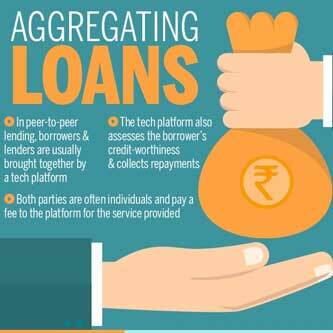 The RBI’s move to regulate the peer-to-peer (P2P) lending business has evoked good response with most participants saying that it could provide greater confidence to lenders and borrowers, as also to venture capitalists. The space has some 35 startups now and more than 20 of them were founded just last year, according to data from startup tracking platform Tracxn. They have collectively attracted only $7.5 million in venture funds, and the ones that have received the most funds include Faircent, Milaap, iLend, RangDe, LendenClub and LoanCircle. “VCs have so far shied away from the industry due to lack of recognition and regulation of the segment,” says IDG Ventures partner Karan Mohla, adding that the proposed regulation will help the sector grow the way microfinance did. P2P lending typically involves a technology platform that brings together borrowers and lenders, often individuals. The borrower can place his/her requirements, and lenders can bid to service that borrower. Normally, the platforms insist on more than one lender servicing a single borrowing requirement to reduce risks. The interest rate may be set by the platform or by mutual agreement between the borrower and lender, or through an auction where lenders place bids. 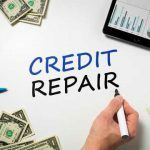 The platform does a preliminary assessment of the borrower’s creditworthiness, and they also collect the loan repayments. Over time, the platforms could automatically develop creditworthiness scores. Borrowers and lenders both pay a fee to the platform for these services. The average interest rates on these platforms tend to be high at 20% and the loan amount is an average of around Rs 1 lakh. Most borrowers are self-employed or those with salaries above Rs 6 lakh per annum. Most platforms charge around 2.5% of the loan amount as commission, from both parties. The RBI is looking at factors such as what should constitute P2P lending, the legal framework, whether to set a maximum interest rate, and how to differentiate it with crowd-funding. It is, for now, looking to categorize them as non-banking financial companies (NBFCs).